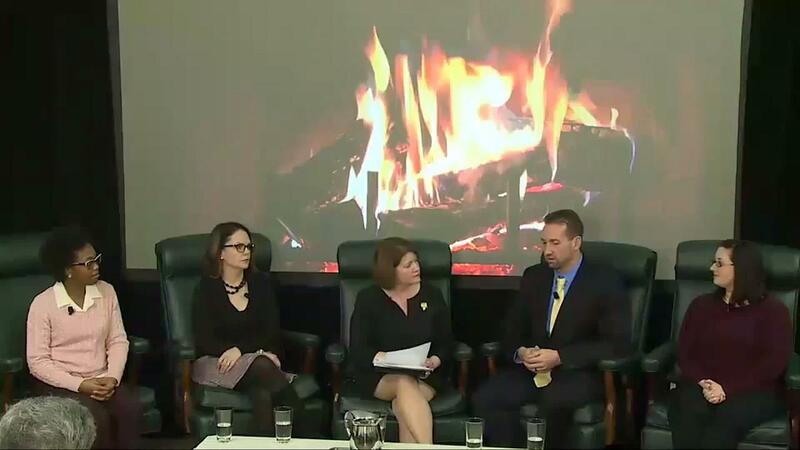 On December 14, 2017, the Economic Liberty Task Force hosted four individuals, including three military spouses, for a “fireside chat” with Acting Chairman Ohlhausen. Our purpose was to give a voice to the millions of American workers and consumers – especially military families – whose lives and livelihoods are impacted by unnecessary occupational licensing requirements. Burdensome licensing regulations affect workers throughout the economy and across the nation, and they hit military spouses particularly hard when service members relocate from state to state. Jackie Clark, a graphic designer (who formerly worked as an esthetician and massage therapist) and military spouse. Nivea Thornton, a natural hair braiding specialist, wanted to expand her successful home-based business by opening her own shop. She soon discovered that her state’s cosmetology licensing requirements would be a major barrier. In 2015, Arkansas changed its law to exempt hair braiders from cosmetology licensing requirements. This opened up a new world of possibilities for entrepreneur Nivea Thornton and her Twistykinks hair braiding business. Military spouse Kim Lopez, an educator for 20 years, is licensed in two states and has worked in others, too. But she faced significant hurdles during her family’s most recent move. Despite having other state licenses and many years of experience, educator and military spouse Kim Lopez has been unable to get a teaching license in her current state of residence. How has she coped with this situation? Despite holding a national registry license and two state licenses, military spouse and Emergency Medical Technician Sean O’Driscoll is unable to obtain a license to work as an EMT in his current state of residence. This affects him as well as his patients. Military spouse Jackie Clark has faced multiple moves. Her esthetics and massage therapy licenses were not nearly as portable as she expected them to be. Although she once held a Virginia esthetics license, military spouse Jackie Clark found it too difficult to reinstate her license when she returned after several moves. Burdensome testing and other licensing requirements make it more difficult for trained professionals to use their skills and experience to provide in-demand services. Licensing poses unique challenges for military families. Licensing burdens for their spouses may even discourage service members from remaining in the military. What tactics are most persuasive when pursuing occupational licensing reform, and what are some of the challenges to effective advocacy? What more can the federal government do to advance the cause of occupational licensing reform?